It’s National Candy Cane Day, in these United States. Things have gotten a bit weirder than usual here in Astoria, as will be elucidated upon in today’s post. Pictured above, and submitted for you consideration is a single shoe whose sudden appearance thrust a cold dagger of latent terror and existential dread into the holiday season for Our Lady of the Pentacle and a humble narrator. 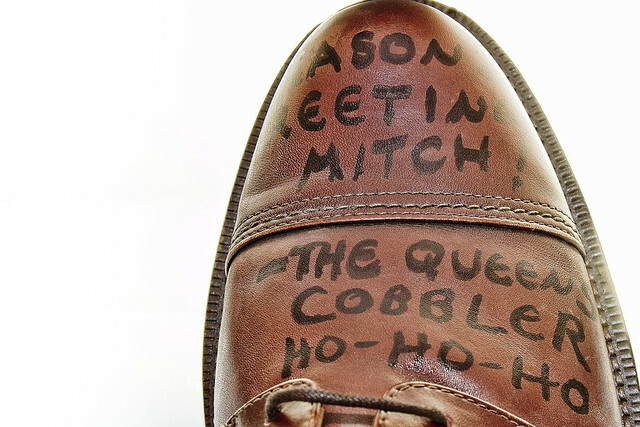 I’ve been talking about the Queens Cobbler for several years at this point in time. The first time I used the term was way back in 2014, and there have been posts mentioning the monster since then. Halloween of 2014, this one from March of 2015, another from April of 2015, and from the same month – the appearance of a potential copycat Cobbler was mentioned in this one. 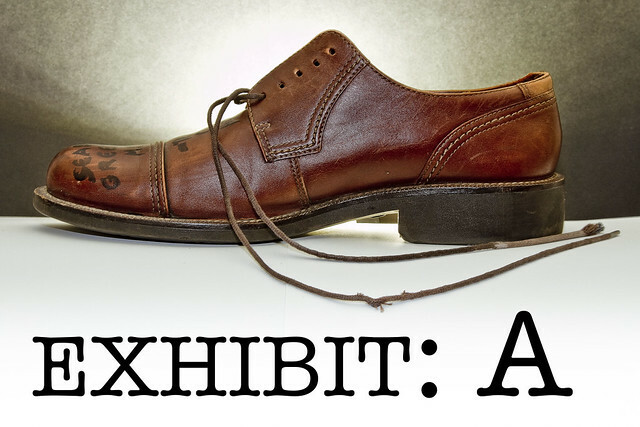 June of 2015 saw more evidence appear, and shoes continued to drop right on through 2016. 2017 brought more macabre trophies to the fore, and it seemed like the Queens Cobbler began to grow haughty. All through the summer of 2017, single shoe sightings began to grow in frequency. 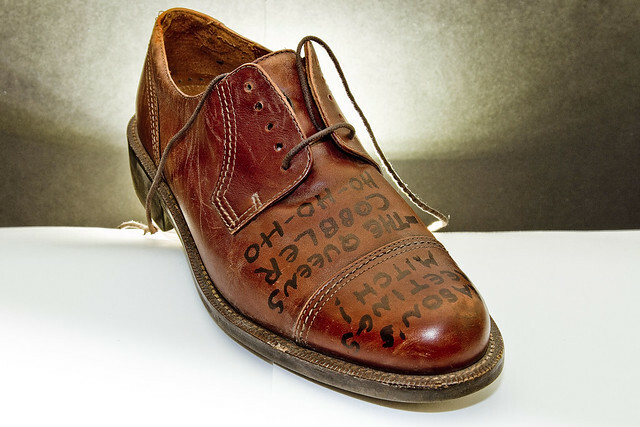 Even children aren’t safe from the Cobbler, and I should have taken the message when a singular shoe was found at my local saloon in October. Halloween of 2017? As late as middle December of 2017? Yep. 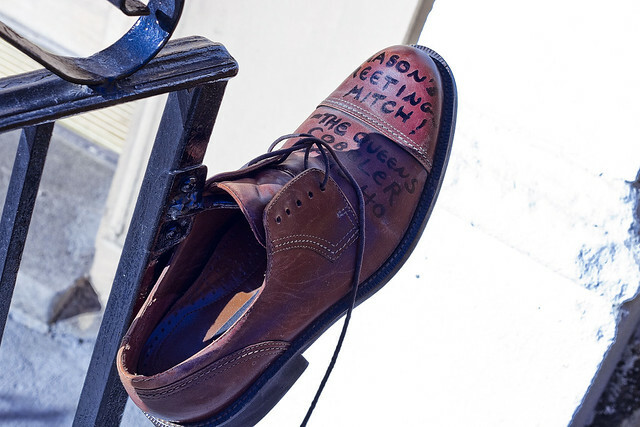 In the name of creating some sort of evidentiary documentation for local, State, and possibly Federal authorities to analyze – the shoe was carefully transported upstairs where “studio shots” of the thing could be created. Additionally, Our Lady of the Pentacle and myself activated all of our passive and active household defense systems and spent Christmas in the apocalypse bunker which we’ve been scratching deep into the loam of Western Queens for quite some time. 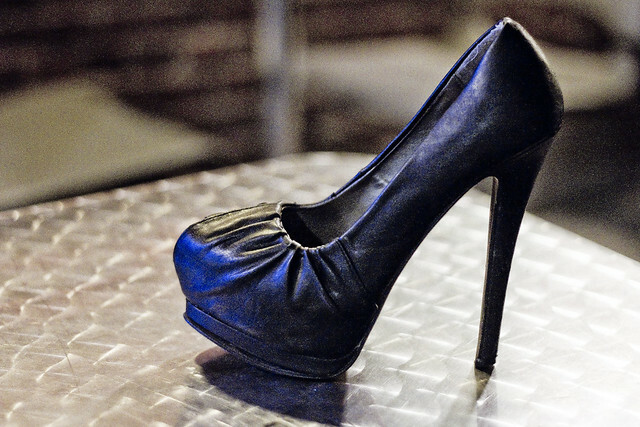 One should have realized that the shoe pictured above, which was observed in October of this year at the neighborhood saloon I frequent, was a warning to not inquire too deeply into the Queens Cobbler’s nefarious purpose. Should I disappear one day whilst scuttling along the bulkheads, I’d ask for all of you to search for a size 11 Merrel hiking boot at Newtown Creek, as that’ll be all that’s left of me to bury. In addition to the cliche about the butler having done it, the eccentric photographer guy in the old black raincoat would be the next suspect on Poirot’s or Jessica Fletcher’s list. That is when one isn’t suspecting him as being a flasher (God help us). Then again you are the only person in the city that seems to be able to find these clues and of course you are able to verify your whereabouts and movements during the times in question. Aren’t you?